In February I attended Bidua Latina, the North American Institute for Living Latin Studies’ Latin-immersion weekend. The institute, known as SALVI (see logo at left for the full name), seeks ways to make learning the language more enjoyable for students, teachers, and the general public. The weekend was held at an old plantation house outside of Charles Town, W.Va. I’d begun learning Latin six years ago as a retirement occupation. I was now offering classes at my local library, and I needed some pedagogical training. There were 35 of us, including instructors. Being one of three attendees over 50, I was lucky to score a single room. Most rooms were shared by two, three, even four. The weekend was rather like a zen meditation retreat, and it required similar dedication and concentration as that austere practice does. Only this weekend was anything but austere. We got to know our comites (comrades) Friday night over a delicious dinner complete with beer and wine. It was a welcoming, lively, fun-loving group. Everyone there was a Latin teacher, most in middle and high school, most in their twenties and early thirties. I spotted several miniskirts, a few tattoos, and many piercings. For the next 40 hours I ate, drank, spoke and lived in Latin. In small hourly classes, we did none of the usual translation and analysis of a few lines at a time. Instead we discussed the piece before us in Latin. Teachers helped with vocabulary, using everything from hand gestures to indexes. There was a lot of laughing and shouts of mirabile! (amazing!) whenever something either hopeless or brilliant was said, thus dispelling both pride and shame. As a large group, we played Latin Charades, Latin Pictionary, Latin Simon Says. During informal conversations at meals and between classes, I learned phrases useful for everyday life: egeo caffea statim! (I need coffee now), non me placeat melongena (I don’t like eggplant), volim plus vinum (I would like more wine). By the end of the weekend, I could carry on simple conversations and even detect personality behind the Latin of my interlocutors. Nevertheless, research has definitively shown that to truly know a language, one must absorb it through speaking, listening, and writing, as well as reading. The church gave up disseminating spoken Latin after Vatican II; now a burgeoning Living Latin movement is reviving it. 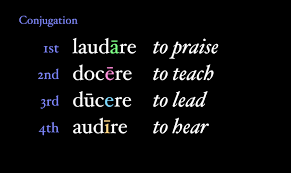 Finally we Latinists can do more than study alone with our books; we can travel to the ever-proliferating conventicula and bidualatina to live our Latin. I’m upping my bravery and going to conventicula bostoniese (a week long immersion program hosted by the University of Massachusetts at Boston) this summer. Why don’t more college professors join us? The blog post appeared first in The Chronicle of Higher Education (21 June 2016).